Installing a suitably sized Heat Pump is the most energy efficient form of electric heating you can install in your home. On average the cost to heat ratio 1:4. This means for every $1 of electricity you use on your heat pump, you will get about $4 worth of heating, which is fantastic! With so many heat pump brands and heat pump sizes, making a decision on the right heat pump can be confusing! As experts in heat pumps GreenStar Energy Solutions can recommend, supply and install the unit(s) that will provide you with the most value for money. Quality assured! Our experienced home energy assessors will visit your home and provide advice on the best and most energy efficient solution to suit your situation and budget. Getting a heat pump has never been easier! We visit you for a Free Home Energy Assessment and provide an obligation-free quote on various heat pump brands and energy efficient solutions. Our team will advise you about finance and funding options available and can assist with the paperwork including the Auckland City Council ‘Retrofit Your Home’ programme. 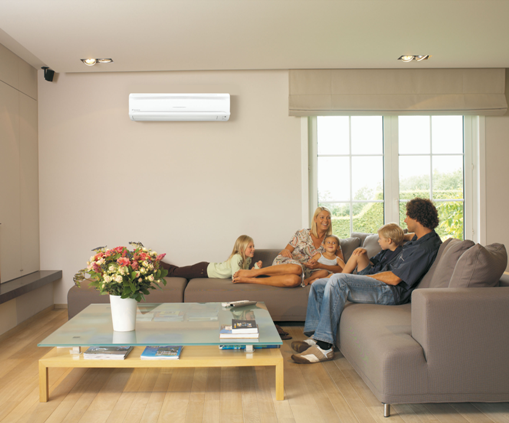 Once you’ve made a decision our qualified installers will install your heat pump correctly. We can also provide affordable options for heating other rooms in your home. 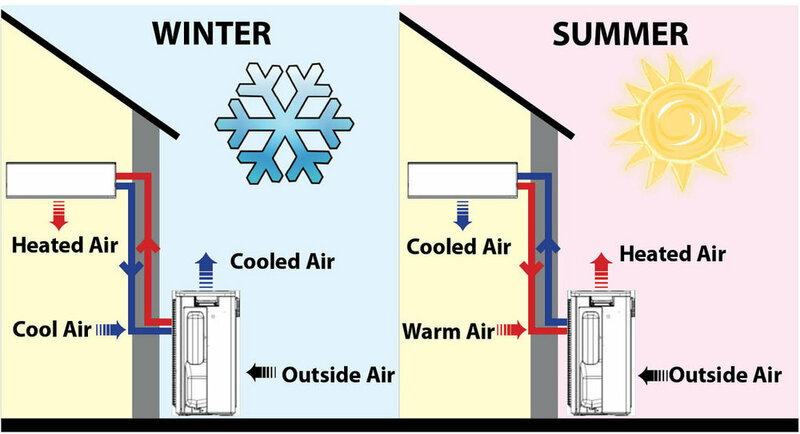 Heat pumps (or ‘reverse cycle air conditioners’) use the same technology as your refrigerator but in reverse, to heat your home. They work by taking heat from the air outside your house and transferring it inside, using a sophisticated compressor, fan and refrigerant gases. In New Zealand heating is the primary reason that people buy a heat pump. 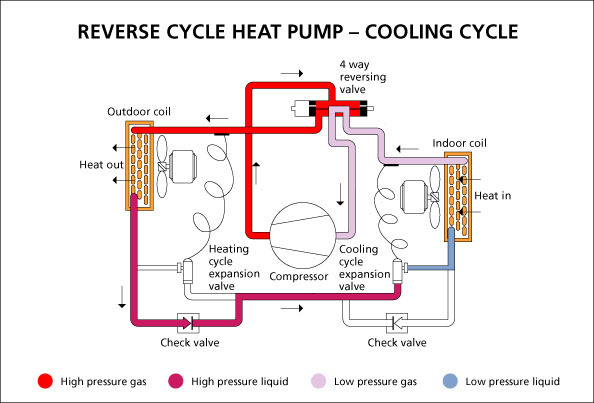 Virtually all heat pumps available in New Zealand are “reverse-cycle” which means they can be used for both heating and cooling which has undeniable benefits on hot summer days and nights. A heat pump in your bedroom can help you sleep more comfortably and you don’t have to run it all night – often just a few hours as you go to bed is enough to improve your sleep. Most heat pumps also have a dehumidifying option as well to assist with condensation control. The size of heat pump you need is connected to the size of your room, the amount of windows and your local climate. Our home energy assessors can guide you on what size is best for your home and help with correct placement in a room to avoid draughts blowing directly onto you. EECA’s Energy Star is a programme which highlights the most energy efficient models available within a category. EECA estimates that the costs to run a heat pump will be $150 lower per year on an Energy Star heat pump compared to a non-Energy Star model. Installation of a heat pump involves two components: the indoor unit, which you see in all the ads and pictures, as well as an outdoor compressor unit. It’s important that both components of your heat pump are installed professionally as there are refrigerant gas and electrical considerations. All our installations are carried out by qualified tradesman. Gree are a global leader in air-conditioners, developing some of the most advanced residential air-conditioners in the world. One in every three air-conditioners in the world is made by Gree! Panasonic is one of New Zealand’s most trusted brands winning the 2013 & 2014 Readers Digest Survey of Most Trusted Brands award. Panasonic offer high quality products with the lowest-possible environmental impact.